How about a great travel trailer with all the goodies for roughing it smoothly and great looks too! The 21QB (queen-bed) offers up a compact way to travel without skimping on the all the amenities to enjoy the trip. 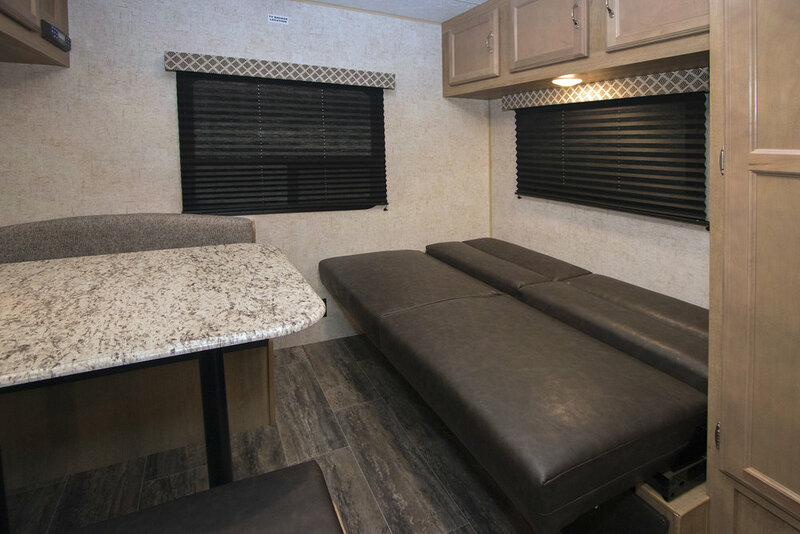 It’s all here in this mid-bath RV with complete kitchen and appliances, a sofa that makes into a bed, a dinette that also converts if need be into extra sleeping, a complete bathroom with tub/shower, sink and toilet and up front, a queen size bed for a great night’s rest! Compact but adequate, storage space including a large pass through outside storage area as well as under bed storage too. 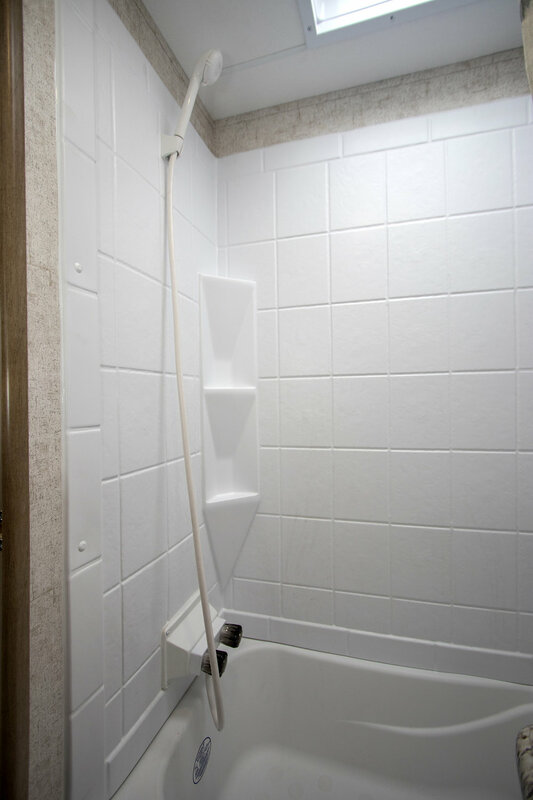 This non-slide unit is a nice way to keep it simple and yet have the comforts of home including heat and A/C. The bright interior and large windows open the unit up giving it a feel of a much larger camper. The contemporary wood color and contrasting durable interior equals comfort and ease of clean up! Outside, as always with each Braxton Creek is the electric awning complete with LED light strip, exterior speakers and easy access to storage and the ever handy, outside shower for whatever the need may be.